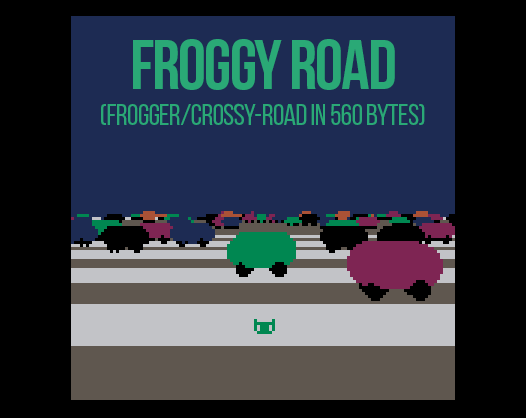 It's either Frogger or Crossy Road, made in Pico-8 in 560 bytes! This was made as an entry for TweetTweetJam. Use the arrow keys to move, and press X after you die to reset. Your score is based on your forward travel distance. If you own Pico-8, you can copy and paste the block of code from above into a blank cartridge to play the game locally.